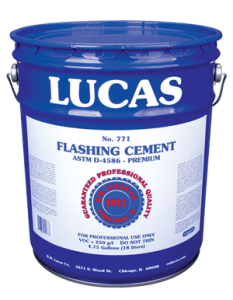 A Premium Grade, trowel-applied Flashing Cement. Manufactured from refined Type II Asphalt, petroleum solvents and reinforcing fibers. No slate flour, limestone dust or other extenders are used.